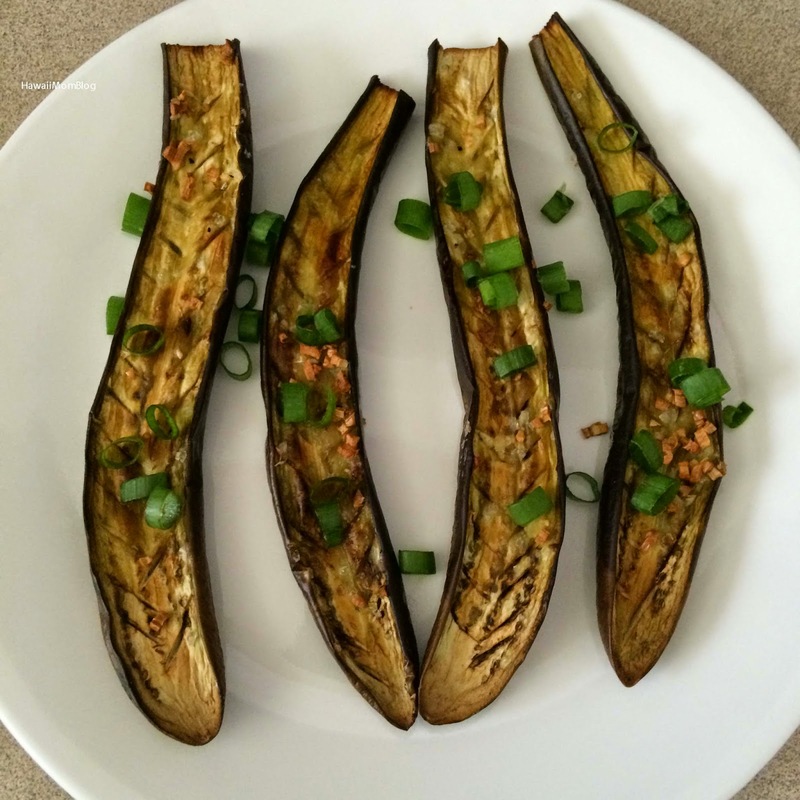 I love eggplant, and I really made these super easy Roasted Garlic Japanese Eggplants. I simply took 3 Japanese eggplants and sliced them in half lengthwise after trimming the tops. I then scored each one (you can skip this step if you wish), and brushed some olive oil onto each slice (about 1/8 cup total) and sprinkled with chopped garlic (1 tablespoon) and some sea salt (about 1/4-1/2 tsp). I roasted at 400 degrees for 35 minutes, and garnished with sliced scallions. Next time I'm going to try using a miso glaze and hopefully that dish will turn out just as yummy or even yummier!